Artwork by Kyle Hilton. 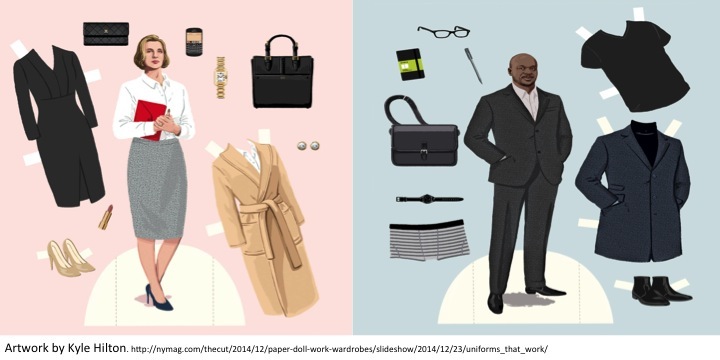 Professional dress illustrated by paper dolls. Publicly funded faith-based adoption agencies are protected by law to deny LGBT couples adoption or foster care rights because of the adoption agency’s religious affiliation. LGBT activists criticize this law saying it is a “slippery slope” towards more discrimination.